Get the Amazing Workshop which has helped MANY! 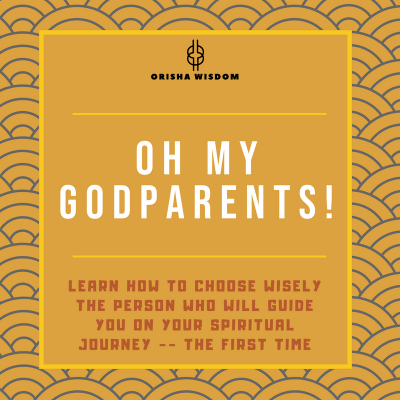 Learn How to live a life aligned with your Spiritual Values!!! This event is 3 and 1/2 hours of learning applicable strategies to live your life… with Yoruba Values in a Modern World! Love the Yoruba Tradition and don’t know how to apply all of this African, Yoruba stuff into real life? This is where Okunrin/Obinrin shines. 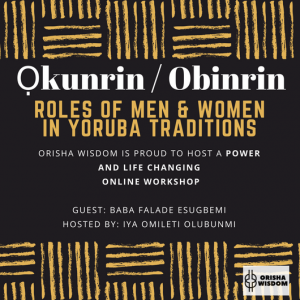 It’s a workshop of over 3 hours to help men and women understand the Roles of Men and Women in Yoruba Tradition! It goes into How to live a life aligned with the Yoruba Spiritual Values. we will discuss in depth the roles and expectations of men, women, community roles, parenting, apetebis and much more. It’s tough that we live in a modern world where we are constantly bombarded with what big companies want us to believe that our roles are. 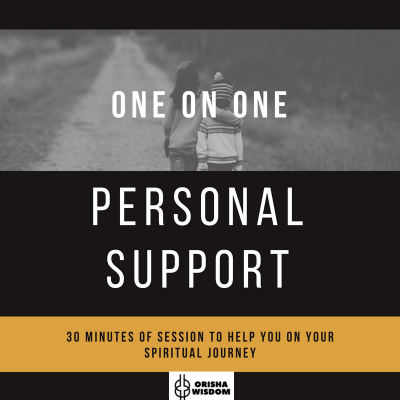 This is a very robust workshop where we dig very deep into what we thought the roles were vs. to what we can make them – and all while walking in a line that serves our Spiritual Beliefs. Get ready with a classroom style class! Get your coffee or water ready and a snack. Print your workbook and get ready to learn and apply!